NEW YORK — Here’s the challenge when something’s as good as it gets: What comes next? Altogether the S&P 500 is still down about 4 percent since the start of October. That’s despite companies in the index being on track to deliver roughly 25 percent growth in earnings per share for the third straight quarter. As of Wednesday, more than four-fifths of companies in the S&P 500 have reported results. The reaction can be tied to the concern among investors that this may be the peak for corporate profit growth. Analysts say growth may slow to a roughly 15 percent rate in the last three months of the year. In conference calls with analysts after their earnings reports, CEOs have been citing several challenges including rising expenses, President Donald Trump’s tariffs and slowing economic growth in countries around the world. When Amazon reported its results two weeks ago, it gave a forecast for revenue this quarter that fell short of analysts’ expectations. Part of that was due to the expected effect of a strengthening U.S. dollar, which can dilute the value of sales made abroad. 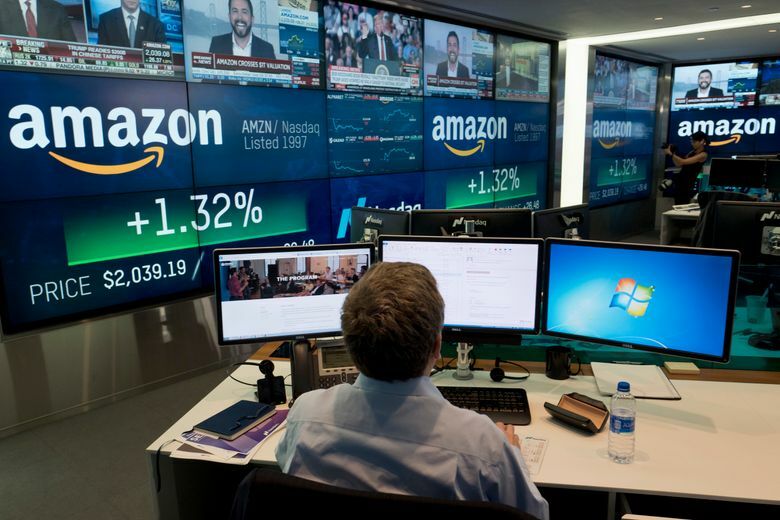 The weaker-than-expected revenue forecast helped sink Amazon’s stock by 7.8 percent the day after its profit report, even though its net income exceeded analysts’ expectations. Next year, profit growth is likely to fall off even more for corporate America because companies will no longer be getting the big boost provided by a sharp drop in their income-tax rates. That is, unless D.C. approves yet another tax cut, which is unlikely now that Democrats have gained control of the House. The growth expectations are key because stock prices tend to track corporate profits over the long term. When profits are surging, it gives investors more reason to pay high prices for stocks.